Is it possible to output the loads of the edge bond of an insulating glass pane? 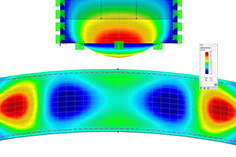 Unfortunately, it is not possible to output the stresses of the marginal composite of an insulating glass panel in the form of a table or graphically in the module. 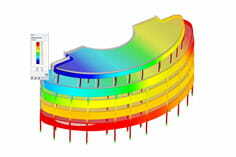 An alternative way to determine the forces would be, for example, the evaluation of the bearing reactions. If one stores discs, then the corresponding force can be determined.